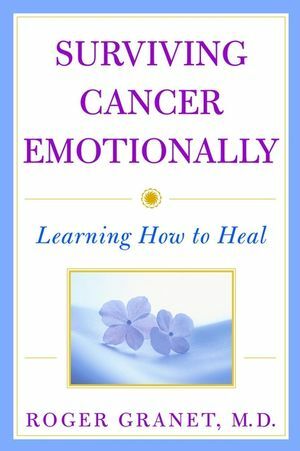 Written with compassion and clarity, Surviving Cancer Emotionallyreveals how we can cope with a devastating illness and turn it intoa positive catalyst for embracing life. ROGER GRANET, M.D., F.A.P.A., is a consulting psychiatrist at Memorial Sloan-Kettering Cancer Center, Clinical Professor of Psychiatry at Weill Medical College of Cornell University, a lecturer in psychiatry at Columbia University College of Physicians and Surgeons, and an attending physician at New York Presbyterian Hospital and Morristown Memorial Hospital. He maintains private practices in New York City and Morristown, New Jersey. PART ONE: CANCER AND FEELINGS. Understanding the Emotional and Physical Realities of Cancer. Coping: What Works, What Doesn't, and Why. PART TWO: THE EMOTIONAL COURSE OF CANCER. One Crisis Ends, Another Begins. The Emotional Disorders of Cancer and Their Treatment. Cancer's Journey and Other Good Fortunes.